Extra, extra! I’m so excited to show you this top secret “Dubai Pearls Manicure” I created a little while ago for piCture pOlish Bloomingdales-Dubai Official Launch!!! 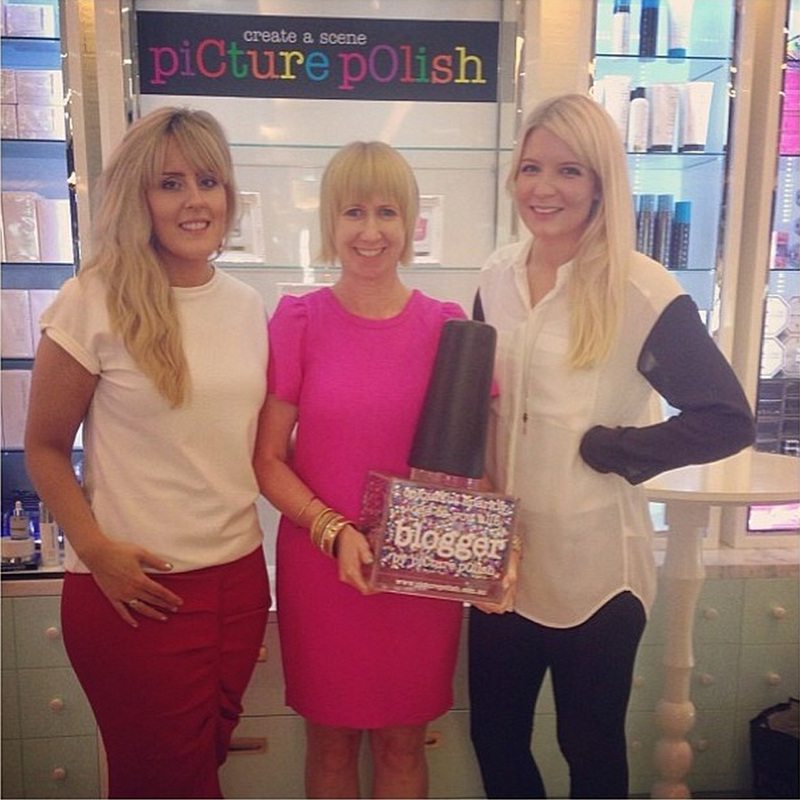 First, a huge congratulations to Jules & Meg, the founders and creators behind piCture pOlish for this momentous milestone! I wish 2014 brings you continuing success for PP in Dubai Bloomingdales and around the globe 🙂 And, a big thank you for including Lacquertude in this amazing experience. I am truly beyond honoured and had a blast creating this exclusive manicure! Doesn’t Jules look fabulous in that hot pink dress? 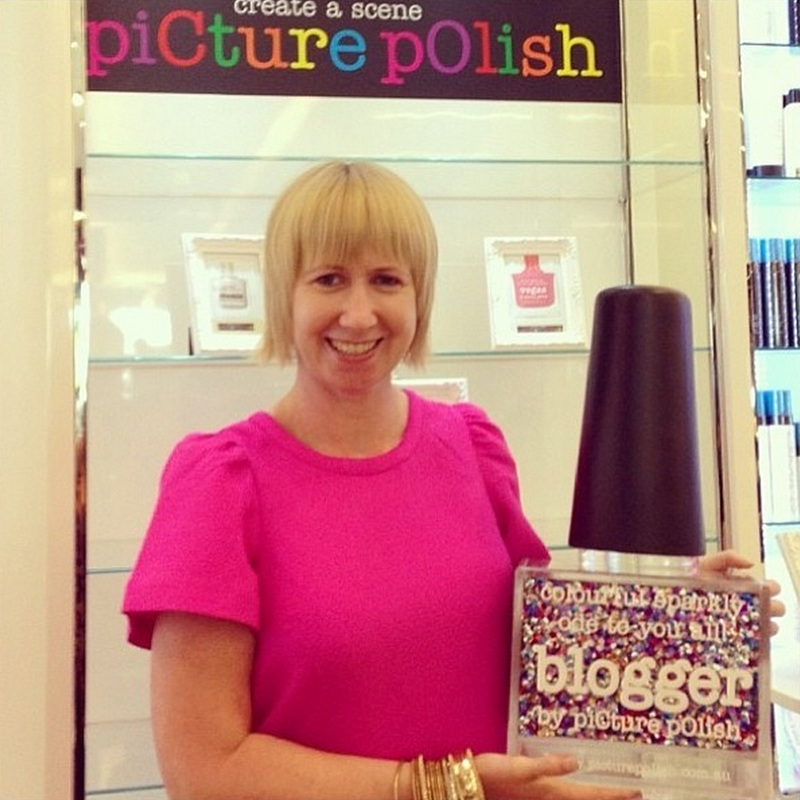 And she’s holding a replica of one of favorite piCture pOlish glitter toppers: Blogger! Now, what I wouldn’t give to have a real bottle of those fun glitters in that size?!?! This is Jules with Cat & Sarah from Emerging Beauty Brands, a family owned distribution company based in Dubai that began stocking piCture pOlish late last year. If you’re based in the Middle East, you should really take a look at their website because they’re dedicated to bringing unique brands like piCture pOlish to your region! 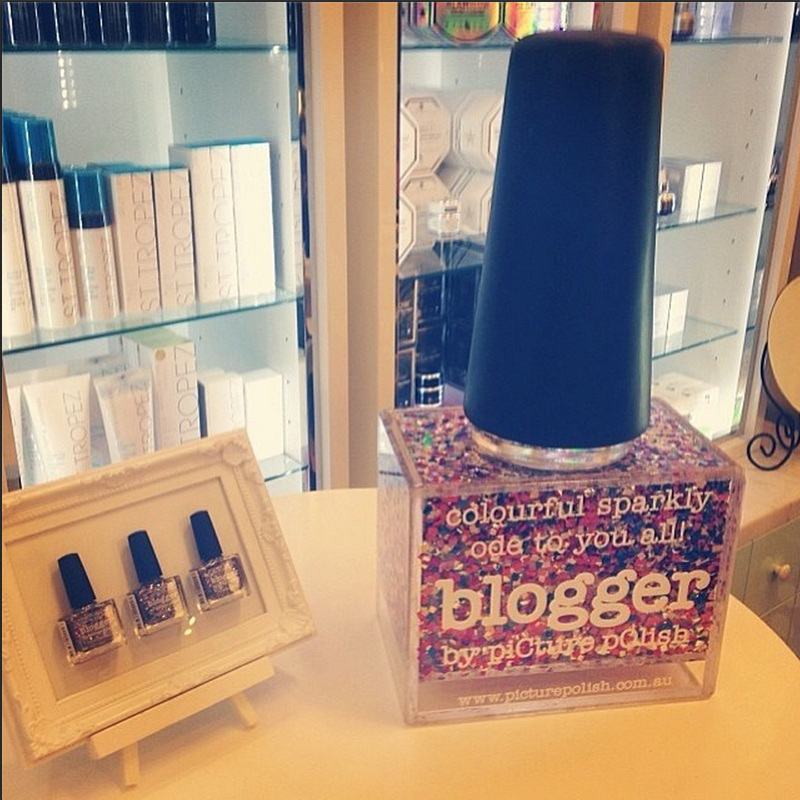 I had to include this photo because I just LOVE the real Blogger polishes displayed in the elegant white frame. I think I NEED one of those! 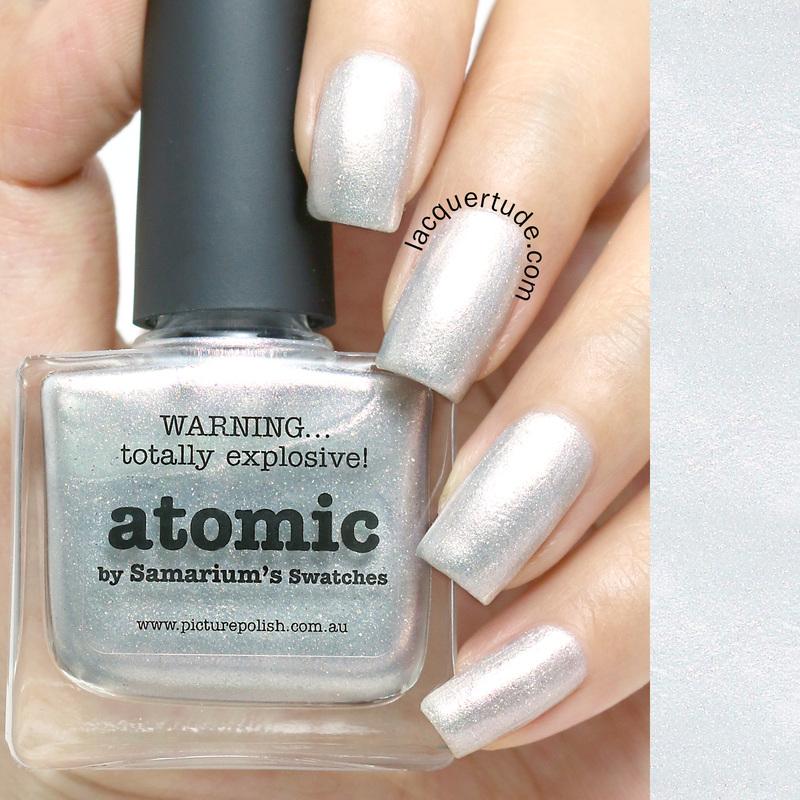 piCture pOlish Atomic has a gorgeous silvery base that’s loaded with the signature PP holographic particles and light pearly pink shimmers. It’s a really complex shade and you can see in my photo there’s a slight duochrome effect that shows the polish’s mother of pearl look. In real life, it’s even more amazing! This was a collaboration shade with Sarah from Samarium’s Swatches blog, check out her post to see the inspiration and many more beautiful photos! piCture pOlish Tiffany has been featured a few times on my blog. It’s simply the most amazing turquoise blue creme I’ve come across with perfect color and great formula. Check out my previous posts here and here. 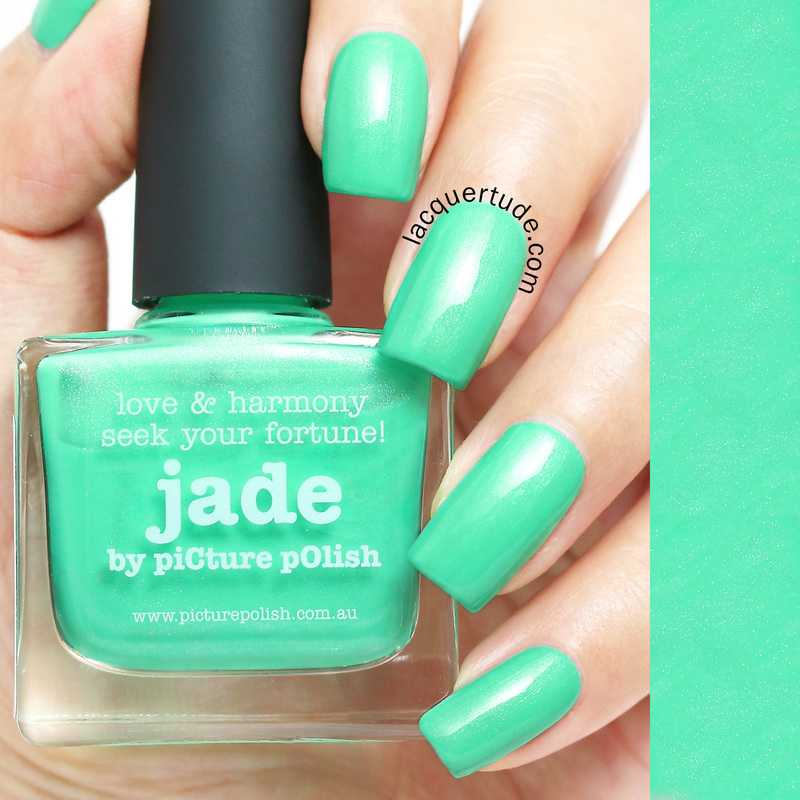 This is such a classic shade and it’s always in high demand. 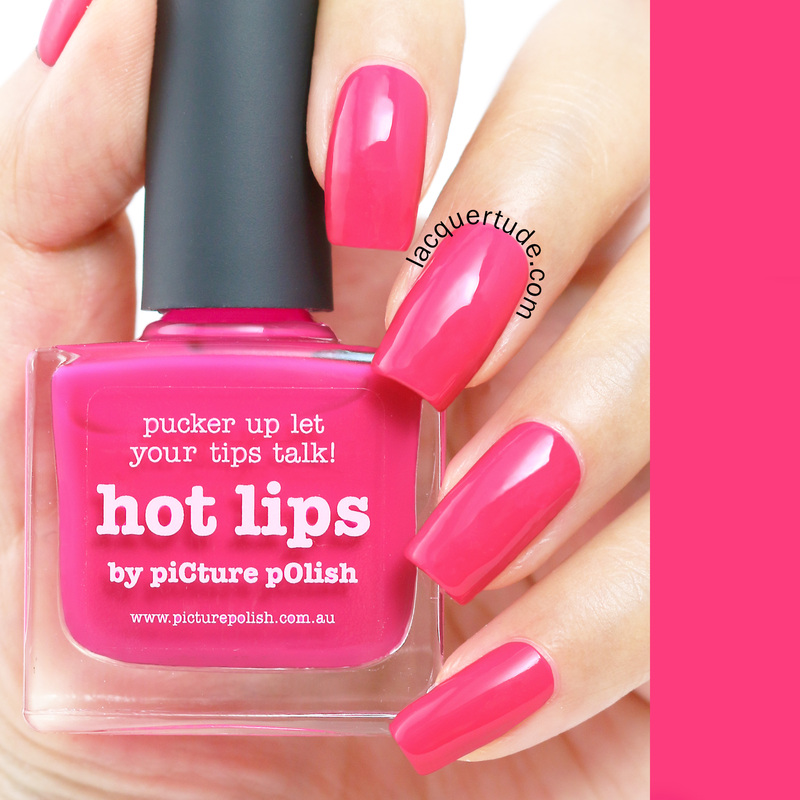 In fact, it’s currently sold out on piCture pOlish’s website. 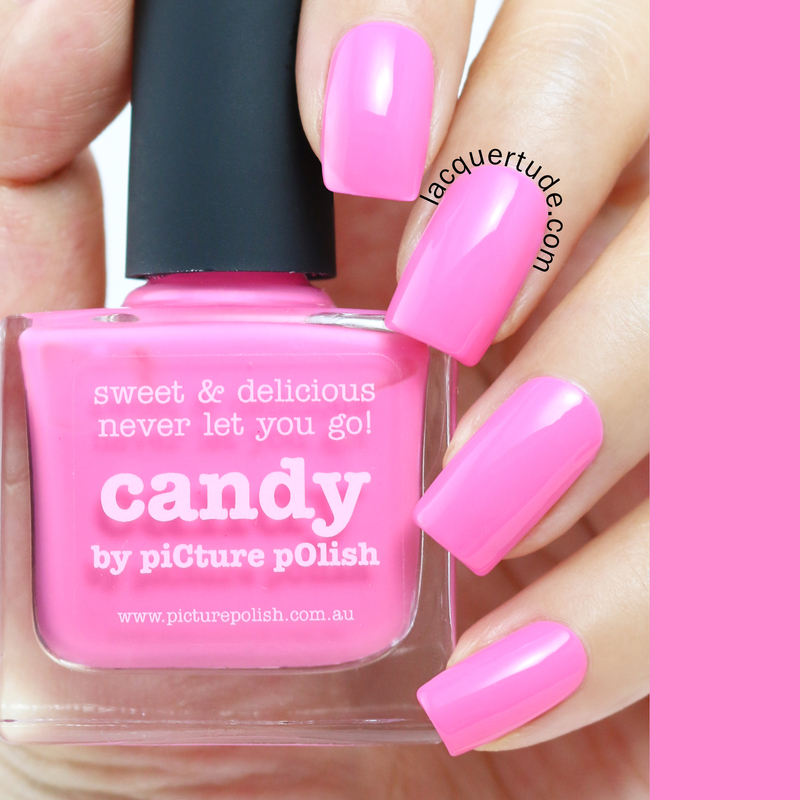 But you might have better luck finding it at their other stockists like Nail Polish Canada, Llarowe, and Harlow & Co.
piCture pOlish Candy is exactly as it’s name suggests, a bright, sweet & delicious pink that I think would look great on many skin tones. I’ve featured it before too, here. piCture pOlish Jade was one of the original set of PP polishes that my husband gave me for my birthday last summer, when I first started my nail art and polish adventure. So many months have past and I still love how it looks! And all of those colors come together to bring you this simple yet beautiful Dubai Pearls manicure with a colorful twist on the classic French look! 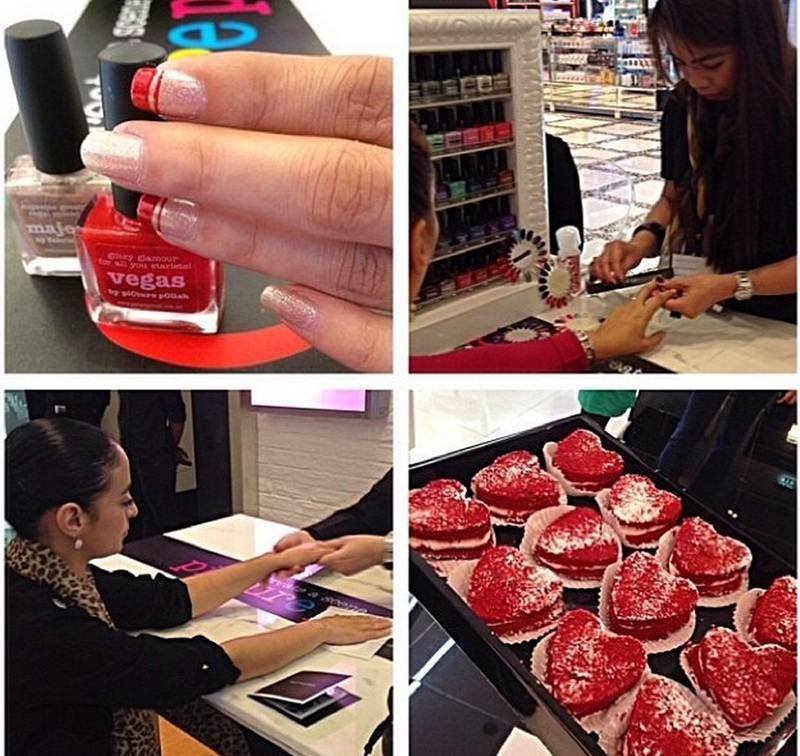 Once again, I am thrilled to have had the opportunity to create this exclusive Dubai Pearls Manicure for the piCture pOlish Bloomingdales-Dubai launch! Personally, I loved it! Or you could even call it “obsessed”. I think I had this on for 4 days straight, which is a really long time considering I normally swatch polishes or do nail art nearly everyday. 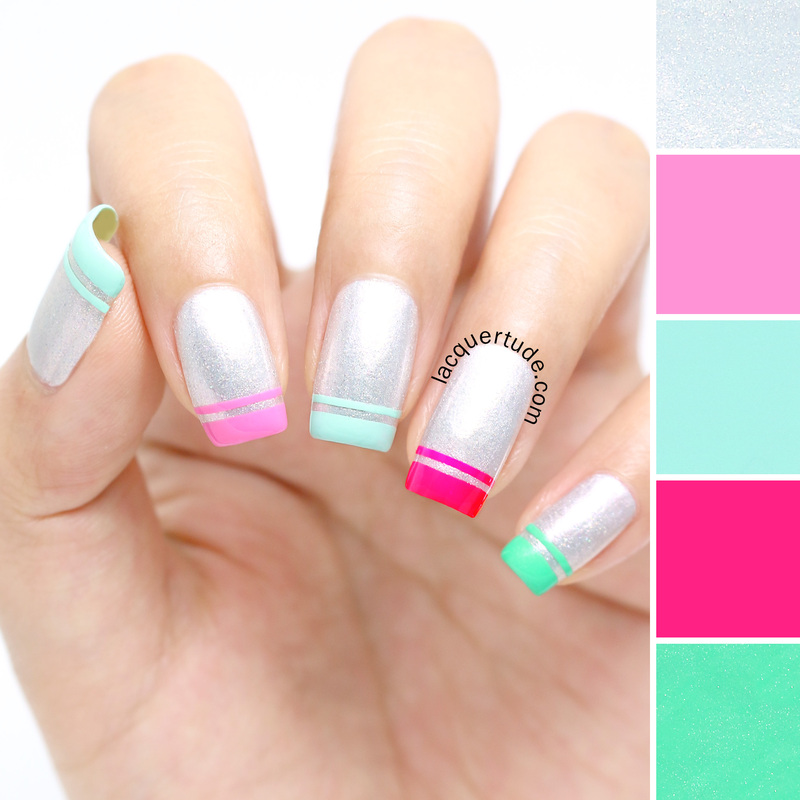 Gorgeous mani, I fell in love with it the moment I saw your picture on Instagram! I usually don’t like French manis, but this one has really a twist…I tried it in a “all pinks” version: let’s say I still have to work on my “striping tape placing” skills, but I will surely try it again (with different shades)! I like Tiffany and Candy best! A lavender in the same hue would be fabulous as well. What about lemon chiffon!? Hi Plutia! Thank you for stopping by and for commenting ♥:) I thought about adding a lavender hue as well, maybe I’ll do something like that for Easter (if you celebrate it where you’re from)? I don’t think I’ve ever tried a lemon chiffon cake before…is it tasty?